Why an Equestrian Law Firm? The courts rely on a common statutes including tort, contract and probate law, but there are is no specific set of legal statutes addressing the needs of the equestrian community. An equestrian law firm who is part of the equestrian community and is up to date on equestrian law developments is able to better analyze equine law issues in a timely manner. Equilaw‘s Steven Tarshis, Esq. 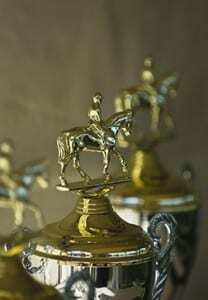 is an equine competitor, owner, and sponsor. He is uniquely positioned to provide legal expertise from the perspective of the horse owner, seller, buyer, trainer, boarder, or breeder. Make the smart choice for your investment. Choose an equestirian law firm to represent you and your equestrian business. As a lover of horses and life-long part of the equestrian community, Equilaw would love to serve you with your equestrian law needs. We know you and your horse are unique; make sure your legal counsel is too.